The beautiful and historic Kohn Mansion presents its 10th annual Café de Kohl, a festive fundraiser benefitting the restoration and enhancement of the Kohl Mansion. On Monday, December 8, 2014, from 5:00 PM to 9:00 PM, enjoy an evening of complimentary tea and espresso, wine, a light supper, and a dessert buffet companied by music, a silent auction, the Kohl Mansion Specialty Boutique, and more surprises to be revealed at the event. 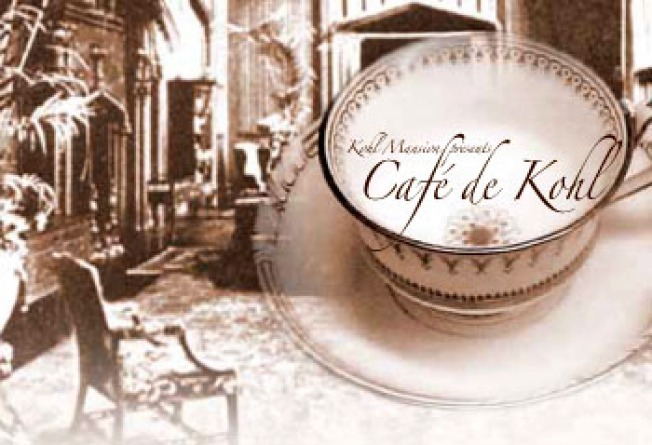 Café de Kohl is a holiday event reserved for adults and young adults. Registration for adults is $65, and $35 for young adults ages 11 through 17. The Kohl Mansion will be decorated in holiday elegance. Begin your holiday festivities early and be a part of the ever-lasting Kohl Mansion history.